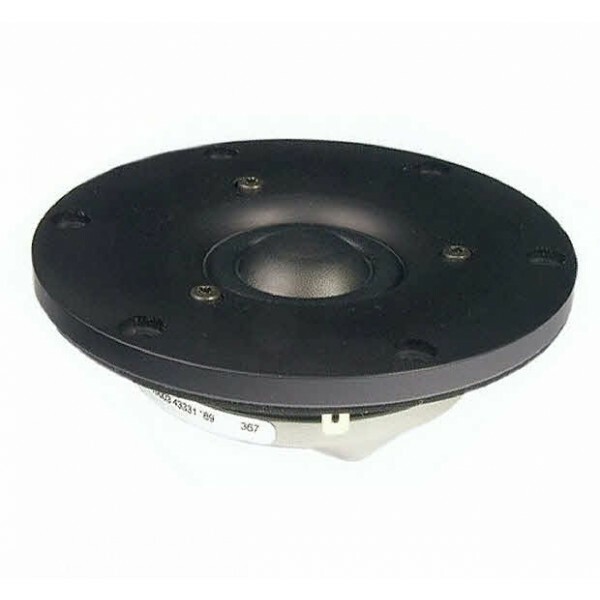 Scanspeak D2904/710003 Revelator tweeter, a member of the world-famous premium Revelator Range. Black anodised and machined aluminium face plate, 6 mounting holes. This tweeter features a newly updated optimised coated textile dome, non-resonant Aluminum multiple facet chamber, low compression, all with a “SD-2" Neodymium large magnet symmetric drive motor system. Excellent wide dispersion and very low distortion. Outstanding frequency response to 40KHz bandwidth with excellent phase and transient response. Good smooth low-end roll-off.